Shah Alam is a planned capital city of Selangor and one of the biggest cities within the district of Klang Valley. Despite having many factories within its borders, it still has its fair share of tourist attractions and delicious delicacies. The Sultan Salahuddin Abdul Aziz Shah Mosque is truly a marvel of structure and a wonderful site for photographers and sightseers. 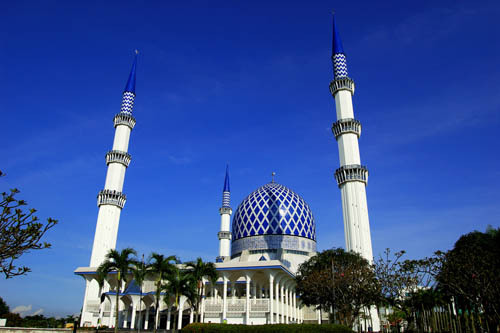 This mosque holds the record as the biggest mosque in Malaysia and the second largest in the Southeast Asian region. The Shah Alam Lake Garden is situated in Section 14 in Shah Alam. This park is a popular jogging and running spot for many visitors. It offers activities such as kayaking as well. Aside from the beautiful and fresh ambiance, the park is also inhabited by various species of flora and fauna. Bus travels to and from Shah Alam to many other cities has never been easier. There are several bus services at convenient timings from Shah Alam that are available for booking online on Catchthatbus or via mobile app which can be downloaded for free on Google Play or App Store.